The non-uniformed police officers will be clamping down on teenagers causing havoc in Sunderland and South Tyneside. Sunderland City Centre, Chichester Metro station and The Galleries in Washington will have increased patrols. The multi-agency operation, launched this week, involves neighbourhood officers clamping down on youth disorder in a number of hotspots as part of Operation Constellate. Plain-clothed police, as well as uniformed officers, will increase patrols in areas that have previously experienced incidents of anti-social behaviour involving large groups of youths. Police will use both criminal and civil legislation to tackle any trouble and take action against ringleaders believed to be causing misery to residents and businesses. 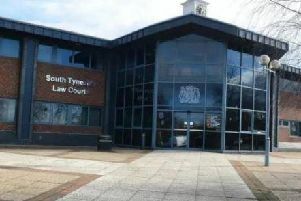 The operation will be supported by a number of partners including enforcement officers at Sunderland City Council, local Youth Offending Teams and transport bosses Nexus. Deputy Leader of Sunderland City Council, Coun Michael Mordey. Neighbourhood Inspector Jamie Southwell, of Northumbria Police, said: “This week, residents across Sunderland and South Tyneside will see officers out and about in the areas where the operation is running in a bid to nip any anti-social behaviour in the bud. “It may only be a minority of individuals who get involved in anti-social behaviour, but their actions can have a significant effect on residents who can be made to feel intimidated or frightened in their own home. “This operation aims to tackle any reports made to us and take action against those making life a misery for others. Our activity will focus around areas where we have seen reports of anti-social behaviour in the past, as well as many of the region’s transport hubs. “Officers will look to take appropriate action against anybody found to be involved in criminal activity, and youngsters involved in anti-social behaviour will be taken home to their parents and spoken to about their conduct. Northumbria Police Neighbourhood Inspector Jamie Southwell. Coun Michael Mordey, deputy leader of Sunderland City Council and chairman of the Safer Sunderland Partnership, said: "I’m very pleased to hear about it and to offer support for this partnership operation. "I know from meeting residents and hearing from businesses, there’s been concerns around these large gatherings and the anti-social behaviour that they can generate. It’s behaviour that will not be tolerated." Sharon Appleby, head of business operations at Sunderland BID, said: “We regularly work with the police on these types of operations and we do see significant benefit in the city centre when they are taking place. “It would appear that this is what we now need to do to tackle the anti-social behavior that is taking place and we will support the operations in any way we can." Metro Services Director, Chris Carson, said: “We work closely with the police to crackdown on issues of anti-social behaviour and fare evasion on Metro.